After two years of intensive litigation, our U.S. partner firm LCHB has helped to conclude a deal valued at $115 million to end litigation over a massive 2015 data breach. In 2015, the company Anthem, life and health insurance Company was victim of the biggest personal data breach ever. LCHB has created a pool of funds to provide credit protection and reimbursement for customers. He also paid up to $38 million in attorneys’ fees. Anthem, the nation’s second-largest health insurer in USA will provide the nearly 80 million victims of the data breach with two years of credit monitoring, cover customers' out-of-pocket expenses stemming from the breach, and pay cash compensation to customers who already got their own credit monitoring. The settlement also calls for Anthem to guarantee a certain amount of funding for information security and to make certain changes to its data security systems. This case shows us that cyber-attacks are becoming more common, sophisticated and determined. It is therefore essential that companies have an adapted security program in order to protect the personal data that the clients entrust to them. Just like our partner, we are dedicated to defending our customers against the violation of personal data. On 25th, 26th and 27th of May the GJN (Global Justice Network) spring conference took place in Prague. As a founding member of the GJN our firm has participated at this legal decisive event. Established in 2007 the GJN gathers law firms from more than 40 different countries all over the world so as to coordinate and promote justice on every continent. Since its foundation by Lieff Cabraser Heimann and Bernstein, LLP/LCHB (a repeatedly ranked No 1 litigation Law firm in the U.S), the GJN has always succeed to develop and deepen its activities. It provides now the possibility to pursue collective legal actions in order to achieve a more efficient defense of our clients. The Prague conference provided an opportunity to discuss key issues or current challenges in the field of human rights, medical issues, financial litigation and more particularly at the collective claim against Volkswagen in Europe. Regarding the Volkswagen case, some of GJN law firms have established a foundation under the name CLEAN (''Consumers Lead Emissions Accountability Network'') to enable European claimants to obtain damages, like Americans owners, through a class action. Lastly, as a pioneering international organization, the GJN appears to be a necessity in that time of globalization. The trans-border cooperation is a new work method which has great advantages. In particular, it permits our firm to benefit from a large network of partners and associates and to maintain a prestigious presence in many different places. This is a truly innovative scheme by any standards: it enables a combination of in depth knowledge of local legal systems with the strength and quality level of international standards. The Convention on the International Sale of Goods (CISG) plays an important role in the globalization of contract and trade law by increasing predictability. As of May 2016, 85 states have adopted the CISG and more than 4,500 cases worldwide have addressed its application. The top 6 countries for decisions relating to the CISG are Germany (534), China (432), The Russian Federation (305), The Netherlands (268), Switzerland (212) and the United States (183). Many European countries are signatories as are the U.S., Switzerland, and the Russian Federation. Notably, the UK is not. In general, the CISG applies only to the sale of goods. If the counterparties to an agreement for the sale of goods decide to apply the law of the country of one of the parties, in general, that is the law that will apply. However, if the parties agree to apply the law of the country of one of the parties and both parties' respective "home" country is a signatory to the CISG, the CISG and not the national "chosen" law will likely apply. For example, in the U.S., which is a signatory, the CISG qualifies as American federal law, therefore pre-empting or superseding state law, including the Uniform Commercial Code. Often overlooked is that a purely domestic transaction; for example, a contract for the sale of goods between two Swiss counterparties with Swiss law governing or between two U.S. counterparties with New York law governing, may in fact, be subject to the CISG if the Seller's goods will be delivered from a non-Swiss store or warehouse or are manufactured outside of Switzerland, in a CISG signatory country, same result for the U.S. Although some may state that "it is international sales 101" to exclude the CISG from contracts for the sales of goods, many times this is not done either unintentionally or intentionally. "Pros", or reasons for selecting the CISG, range from unfavorable local law to undeveloped local law where there are, then, advantages with the more developed and perhaps more favorable CISG. The "cons", or reasons for not selecting the CISG, include that it is perhaps less known or lawyers have less experience with the CISG or known issues with the CISG. For example, under U.S. law and other countries' laws one of the greatest issues for litigation is the "battle of the forms" issue occurring when a buyer submits a purchase order with its standard terms and conditions and the seller responds with its acceptance and its own standard terms and conditions. The CISG follows the "mirror image" rule and the "last shot" rule. Any difference between the offer and acceptance will convert the acceptance into a counter-offer which, typically, will be accepted by performance of the contract (this is the common law in the U.S.) As a result, under the CISG the "last shot" rule applies—it will be the terms of the acceptance of the counteroffer that control. For unwritten contracts: If parties to a contract of sale do not "put it in writing" the CISG will apply; however, under the CISG a contract may fail for indefiniteness if the price is not stated or cannot be determined. Email: With today's global marketplace and cross-border email exchanges, parties should make sure that those exchanges will not be deemed a contract because under the CISG a formal written contract is not required in order for it to apply. The provisions of the CISG were drafted to try to avoid using common law or civil law terms because such terms may not exist or be interpreted differently in different languages, in different jurisdictions. As those of us with cross-border practices know, especially when parties' "mother tongues" are in languages other than English, but the language of the contract is English, that the same word, business or legal concept, in English, may have different meanings in translation. Indeed, there are many differences in meanings between legal and business terms in the American language and English language. Of note is that there are six "official" language versions of the CISG. Even if it is common practice to exclude the CISG, the number of cases involving interpretation of the CISG is increasing. Globalization continues as does the internationalization of contract law and trade law. Although I agree with the many commentators on the CISG that the CISG is beneficial because it increases the predictability of outcomes in international trade, I almost always exclude the CISG. To answer the question of whether to include or exclude the CISG, the answer remains, it depends. However, and most importantly, is to be aware of the CISG's potential application and then to analyze whether or not it should apply to the contract to avoid having the CISG apply by default because the issue was not addressed in a written contract. Typically the CISG exclusion clause is included in the governing law clause as follows: "The provisions of the United Nations Convention on the International Sale of Goods shall not apply to this Agreement. " Under the Uniform Commercial Code in the U.S. the "knock out" rule applies meaning the terms are only those to which both parties have agreed and not the common law or CISG law of "mirror image" and "last shot." On the 9th of November 2016, the Court of Justice of the European Union in Luxembourg rendered an important ruling concerning the terms and conditions under which a Bank may grant a loan to individual persons within the European Union. This ruling requires that banks and other credit institutions be obliged to provide their customers with detailed information on the individual terms and conditions of a loan agreement in a language that is understandable by the borrower before granting him a credit (Decision C-42/15). If these requirements are not met then the contract becomes partially null and void: The borrower must only pay back to the lender the original amount, without interests or any bank expenses. The European Court of Justice justified its decision on the contents of the European Directive 2008/48, Article 10, Paragraph 2. This judgment is of prime importance as it opens the possibility of direct application of the described terms and conditions that should accompany all lending contracts within the European member States. Our Law firm -particularly active in the field of financial litigation- is closely examining the consequences of this ruling and intends to use it as jurisprudence on several ongoing Court cases on disputes with banks and other financial institutions so as to assure a maximum and updated protection for its clients. Judge, Charles Breyer, signed the settlement between VW and the owners of polluting diesel vehicles. It is one of the biggest settlements ever and the firm is forced to pay very high compensations to their represents and U.S. customers. According to first information, 1,1 billion euros are going to be paid to represents, 13,6 billion euros to customers. In this case every customer will get approximately 9.000 Euros as compensation. More than 10.000 vehicles will be returned and in consequence, the company will have to repair them to be able to put them on the market again. The juridical system of the U.S. is proven to be customer friendly for one more time. What about customers from other countries, especially from Europe? Unfortunately, within Europe there is no juridical system allowing class-action lawsuits as it is in the U.S. Only Holland provides some similar options. Therefore, ‘Global Justice Network’, an international association of different law firms has founded in Holland the organization ‘CLEAN’. ‘CLEAN’ will fight for all customers. Our law office is also one of the founders and is representing normally, but not only, Swiss customers. Joining us is not bound on any economical expenses or obligations. That is why everyone owning a polluting diesel vehicle is asked to contact us immediately. A week before the settlement agreement, lawyers from Global Justice Network, among them our represent Constantin Kokkinos, met in Brazil to talk about further steps in Europe. Differences between the European countries have been discussed. This meeting was the second one especially held for the Volkswagen case. The first one took place in San Francisco. American Lawyers, members of Global Justice Network, have done a great job and helped to achieve the U.S. settlement. They will cooperate with their European colleagues and their know-how will be most important. The American ruling leaves hope that there will be a similar one for European customers even though the VW concern does not want this. Its directing board would prefer to just fixing the vehicles in question without any other further obligations or the right of return. The more customers will apply for compensation through our association the bigger is our chance of being heard by court and gain justice. That is why we are asking our readers for one more time to contact us if they own one of the polluting diesel cars: without any obligations or expenses for themselves. The first court ruling, in favor of Swiss franc loan borrowers, was published recently by the Multi-Member First Instance Court of Athens intensifying the conflict between the loan borrowers and their bank lenders. According to court ruling No 334/2016, the Bank is obliged to accept payments of monthly installments as well as the partial or full discharge of Swiss franc loans based on the exchange rate of currency valid at the date of the conclusion of the relevant loan agreements and not based on the exchange rate at the day of payment. That makes a dramatic difference as most currencies including euro have been strongly devalued towards the Swiss franc over the last few years. The Bank is obliged to include all interests of installments and payments made by loan borrowers according to the exchange rate valid during the period of disbursement of the loan. The Bank is obliged to accept partial or full payment of installments or the discharge of Swiss franc loans in euros valid at the time of payment of the loan in euros. 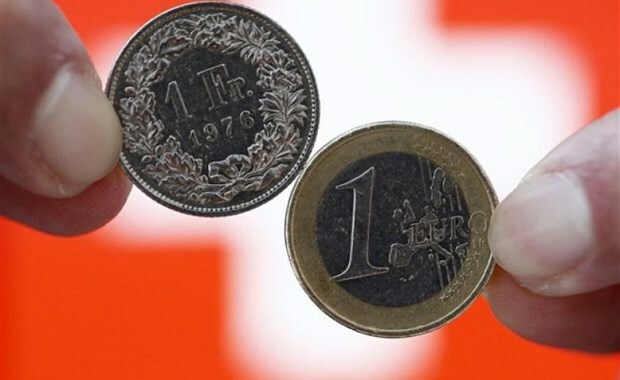 In case of denunciation of the loan agreement, the Bank must omit the conversion of the loan’s balance in euros based on the current sale price of Swiss francs, at the date of the denunciation. Despite being a lower level court ruling with no immediate execution force, this judicial decision is a positive outcome for thousands of loan borrowers and it will certainly influence settlement of over 9 billion loan agreements denominated in Swiss francs. Furthermore, if this judgment is confirmed by Higher Courts it will constitute binding case law for forthcoming similar rulings eventually leading to a legislative intervention or Ministerial decision for settling the matter in compliance with the Court’s rulings. Which information will be automatically exchanged ? The information to be transmitted includes account and tax identification numbers as well as the names, addresses and dates of birth of taxpayers abroad with an account in a country other than the country of origin, all types of capital income and account balances. The standard covers both natural persons and legal entities. The actual beneficial owners of the account in accordance with the international provisions on combating money laundering (FATF) must be identified. How is the automatic exchange of information conducted? Banks, certain collective investment vehicles and certain insurance companies collect financial information on their clients who are resident abroad for tax purposes. Once per year, these financial institutions send the information to their national tax authority, which automatically transmits the information received to the tax authority in the relevant partner country. What happens with the data that is exchanged? Client data may be used solely for the agreed purpose, i.e. the correct taxation of taxpayers in this case. However, the standard does not indicate precisely how the national tax authorities are to do this (e.g. spot checks or extensive data reviews). Data protection has to be ensured. When will Switzerland introduce the AEOI? Swiss financial institutions will start to collect the account data of taxpayers abroad in 2017. The first exchange of data with a wide range of partner states and territories will take place in 2018. Does the AEOI agreement with the EU include all member states? Yes. The AEOI agreement with the EU applies equally to all member states. Specific agreements with individual EU countries are not necessary. Furthermore, the agreement also applies to Gibraltar on the basis of internal EU provisions. With regard to the automatic exchange of information standard, will the United States get preferential treatment in relation to transparency of financial constructs? The United States has approved the OECD's AEOI standard. This is based on the US FATCA model, which will continue to exist. Consequently, temporary exceptions will apply for the United States for a given period. For example, US financial institutions do not have to identify the beneficial owners of foreign investment companies that have not concluded an agreement as a Foreign Financial Institution (FFI) with the United States and are located in a country that has not concluded a FATCA agreement with the United States. However, the United States will levy a withholding tax of 30% on the gross amount of all revenue and sales proceeds from US securities. For how long will the United States be allowed such an arrangement? Faced with increasing criticism from the international community, the United States announced at the G20 meeting in April 2016 that it would adopt internal measures in the near future to eliminate certain loopholes and make certain constructs in the United States less attractive. How will Switzerland use data on Swiss taxpayers with accounts abroad that it receives within the scope of the reciprocal exchange of information? The domestic use of data received from abroad is up to the individual countries. Given that the cantonal or communal tax administrations are responsible for tax assessments in Switzerland, the Federal Tax Administration (FTA) will forward the financial information received from abroad to the competent assessment authorities for the application and enforcement of Swiss tax law. Does the global standard for the AEOI apply domestically as well? No. The international standard governs only the international exchange of client data for tax authorities. Transparency within the states will continue to be determined by the states themselves. The ECHR ruled in a pilot case that the Greek bond haircut was legal. The “haircut” on bonds held by individuals geared to restructuring the Greek public debt during the crisis did not violate their property rights. no violation of Article 14 (prohibition of discrimination) of the Convention, in conjunction with Article 1 of Protocol No. 1 to the Convention. vagaries of the financial market and the risk of a possible drop in the value of their bonds, considering the Greek deficit and the country’s large debt, even before the 2009 crisis. The Court also found that the bond exchange procedure had not been discriminatory, in particular because of the difficulty of locating bond-holders on such a volatile market, the difficulty of establishing precise criteria for differentiating between bond-holders, the risk of jeopardizbing the whole operation, with disastrous consequences for the economy, and the need to act rapidly in order to restructure the debt. Under Articles 43 and 44 of the Convention, this Chamber judgment is not final. During the three-month period following its delivery, any party may request that the case be referred to the Grand Chamber of the Court. If such a request is made, a panel of five judges considers whether the case deserves further examination. In that event, the Grand Chamber will hear the case and deliver a final judgment. If the referral request is refused, the Chamber judgment will become final on that day. Once a judgment becomes final, it is transmitted to the Committee of Ministers of the Council of Europe for supervision of its execution. Our roots in the Aviation law are very deep: started over 30 years ago and covering almost every field of it. More specifically we are dealing with rules and regulations of the Montreal Convention, the Warsaw Convention, the IATA (International Air Transport Association) Regulations and Resolutions Procedures and also the ICAO (International Civil Aviation Organisation) Proceedings. We are proud to be one of the few aviation law firms in Europe (if not the only one!) to deal with disputes of travel agencies working with the International Air Transport Association. IATA represents most scheduled airlines world’s airlines, some 265 carriers or 83% of the total air traffic. IATA manages a worldwide electronic ticketing system called the Billing and Settlement Plan (BSP) which allows for reservation, sale and payment of air plane tickets by travel agencies around the world. This is a very complex system as, at the close of 2014, there were BSP operations in 181 countries and territories. The system currently serves 400 participating airlines with an on-time settlement rate of 99.98%. In 2014, IATA's BSP processed $255.7 billion. ELC was involved with this complex issue several times, mostly representing travel agencies which were accredited by IATA to issue ticket online through its BSP ticketing system. In particular, we have successfully defended travel agents from Denmark, the U.K. the U.S. and Greece on their issues with IATA in front of the Travel Agency Commissioner (an internal arbitration proceedings under IATA Regulation) and also on arbitration proceedings under the ICC Rules. As a founding member of the Global justice Network (GJN), our law firm participated in the GJN Spring Conference which was held in Madrid on May 26-28 , 2016. It was a very successful event where over 40 participants took part in,essentially focusing on the Volkswagen collective claims issue. Two out of our three US partner law firms were retained from the US Judge for representing concerned American VW owners in class action. In Europe where unfortunately such legal tool does not exist claiming the consumer's rights is more difficult and in any case fairly complicated.This difference in our legal systems could well be behind the motivation of the giant German manufacturer to announce that it intends to indemnify American concerned VW owners but not the European ones. Nevertheless the plaintiff law firms members of the GJN with a solid proven record on such issues have pioneered the way of attempting to protect European consumers through an interesting legal possibility that exists only in the Netherlands where we also have a major law firm as a founding partner and have established along with the other members of our network a stichting (foundation) under the acronym CLEAN so as to participate in a collective claim, for and on behalf of European concerned VW owners who were affected by the fraud. So much is to be seen within the forthcoming months during which all concerned European consumers are invited to join the action without any obligation of their part. In addition to the VW diesel issue , the event offered workshops on financial litigation, human rights and pharmaceutical and medical devices. ELC's partner Constantin Kokkinos who is honored to be part of GJN's executive committee intervened on several topics during that conference on the VW Diesel issue as well as on cross border financial litigation matters.